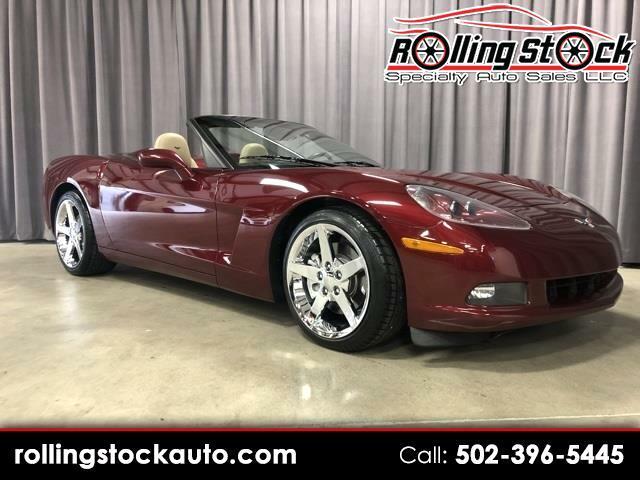 2005 Chevrolet Corvette Convertible- Clean Carfax Report with Documented Service History, Automatic with Rare Factory Power Top Option, Heads Up Display, Navigation System, Premium Sound System and All Power Options. Always Garage Kept and This One Looks Awesome Inside and Out and Is One Of The Most Sought After Years and the First of the C6's.. Finished in Spectacular Magnetic Red Metallic with Cashmere Leather and Cloth Top. You Won't Find a Nicer One In this Price Range So Don't Wait Spring is Here... Contact Cary Donovan 502-396-5445 to Schedule Your Appointment To Inspect This One For Yourself at My Louisville Indoor Showroom.